This year the Olympics will be held at London for the third time. The first in 1908 and the second in 1948. 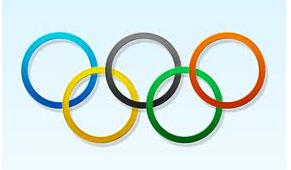 In 2008 the Olympic games were held at Beijing, where America had won the most gold medals in the history of the olympics. One of the athletes were Sean Johnson, a famous gymnast. Michael Fred Phelps were one of them as well, he is an American international swimmer who has, overall, won 16 olympic medals. In the Beijing Olympics he won 3 gold medals and is now looking at winning much more. In 1948 a dutch mother of two by the name Hollins Fanny Flankers Cooper, was the first and only woman in history to win 4 olympic gold medals in one whole game. In London they have been building one massive venue where the main events are going to be held. In the central of London the events of, volleyball, triathlon, archery and road cycling will be held there. The main venue where the sprints and relays will be held is a beauty. The stadium is gigantic. They have also been building beautiful new venues where the rest of the other events will be held. My personal favourite athlete is Valerie Adams. The sport that she plays is one of my favourite and is very hard. She is a very inspiring athlete that loves her sport very much and is committed to it. That is exactly what I love to see in my inspiring idols, and that is why she is one of them.